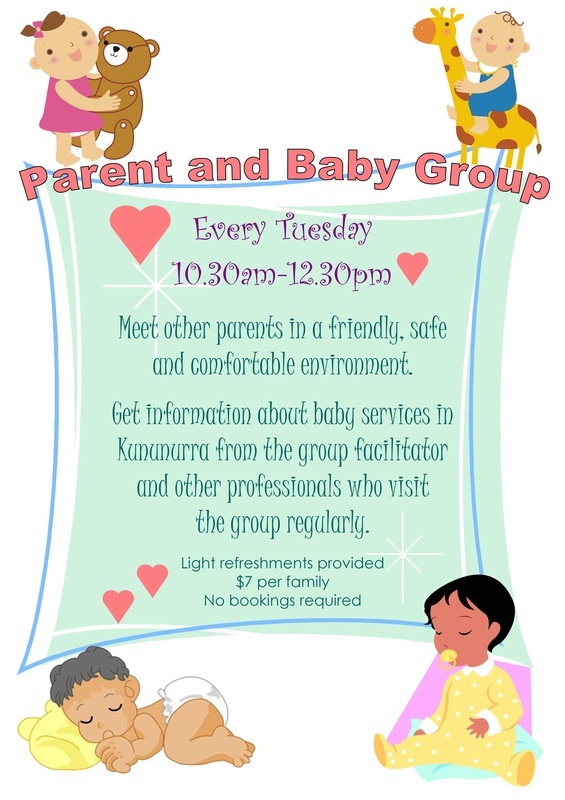 Parent and Baby provides a place to meet other parents, to share your stories, learn from and problem solve with other parents. From teething to their first precious steps (and everything in between). It is hard work some days, as parents you're always learning what works and what doesn't for your baby, we understand every little person is unique and that you need support, a friendly face and a listening ear through the good times and the bad. Jillian Walker is your P&B facilitator, who has a wealth of knowledge not only through her experiences as a mother, but through her years being part of KNH as a parent, committee member and staff member. Her calm and gentle way reassures and guides parents to follow their own instincts, educates them on support services available to parents and suggests ideas to empower you as baby grows. Trish our friendly Child Health nurse comes along most weeks as an added support to the parents and is available to discuss any particular concerns or questions you may have. The scales are set up each week for you to weigh baby and guest speakers attend the group for brief informal information sessions on topics of interest to the attendees (If there is any subject you would like to know more about please just ask Jillian).